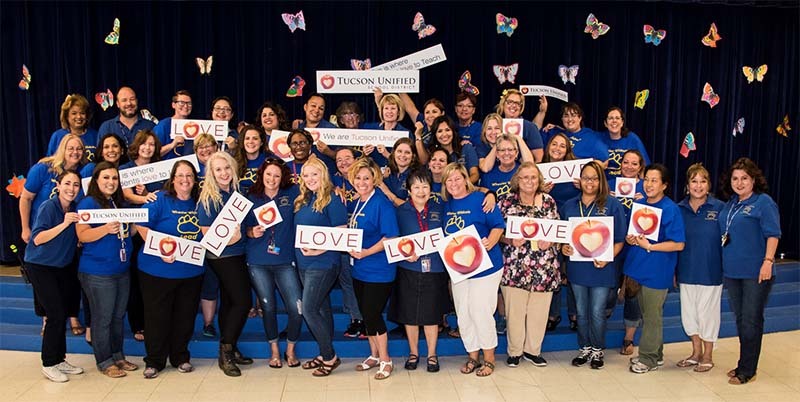 Check out this enthusiastic #TeamTUSD from Wheeler Elementary school. The staff at Wheeler helps build community, family and fun and focuses on commitments and goals. Wheeler aims to create a positive, unified culture for students and staff to collaborate with and empower one another. The school's mission is to create students in the LEADS (Learners, Effort, Actions, Decisions, Show Respect) model who show college and career readiness. Wheeler leads the way by building outstanding learners who embody leadership, effort, actions, decision making, and showing respect. To ensure these goals are met, the school offers GATE, OMA Gold, and houses a strong PTA. Thank you, Wheeler!